GAMETEE Co. Ltd. is an artist-owned, independent business based in the heart of England. 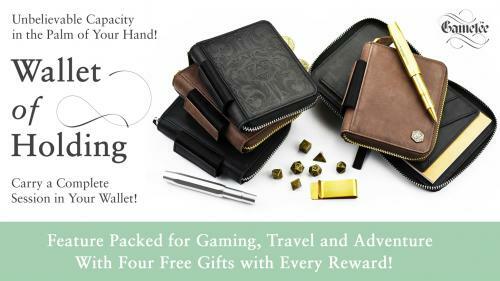 We masterfully craft luxury pieces for gamers worldwide. Run by two sisters, AJ and Lucy, Gametee is for passionate gamers - by passionate gamers. We believe in an honest and beautiful approach to design that celebrates utility, timelessness, and tradtional methods of hand crafting. We have successfully delivered six Kickstarters on time and to a beautifully high standard. You can have faith in our reliable, trusted family business. 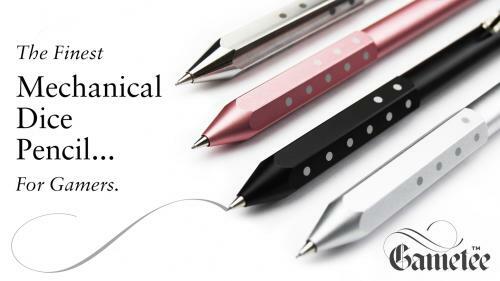 Finely Crafted Mechanical Dice Pencils in Aluminium and Titanium - Roll them as a Dice - The Only Pencils of their Type in the World! 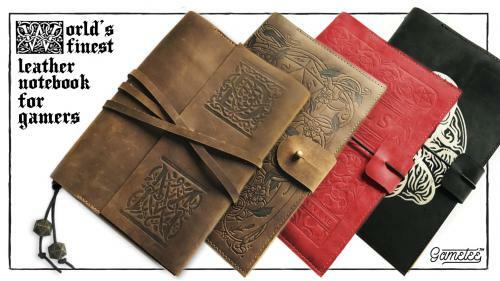 ALL NEW Refillable Leather Gaming Journals to assist you in creating masterful, memorable tabletop campaigns. 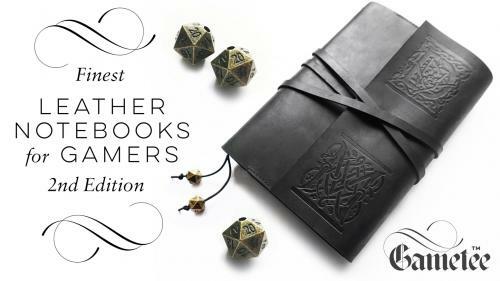 Your new Handcrafted Leather Notebook - - A companion to perfectly organised tabletop roleplaying gaming sessions - and more!